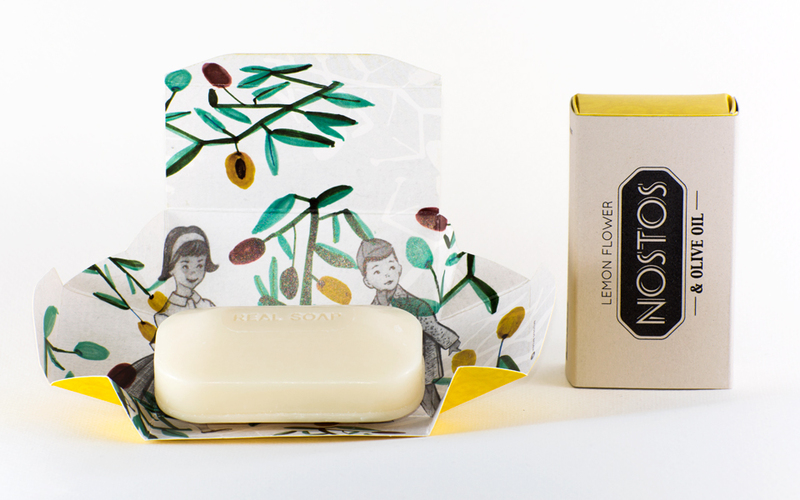 Nivo soap brings the scents emanating from Greek gardens. After quitting their jobs as a chemical engineer and a bank employee to make organic soap products, two friends based on the island of Crete now find it hard to imagine their former lives. Hristos Asteriou and Stelios Hristodoulou produce soap using an entirely handmade process. Certified for the pure, hypoallergenic –allergy-safe– organic raw materials used, Nivo Soap is made employing the cold process: Oil is mixed with a caustic soda solution; the resulting product is placed in a rectangular mold, and then left to mature for over six weeks. This soap product has character and its makers took into account favorite scents, related thoughts, as well as the cosmetic properties of ingredients used. The objective set by the producers of the Fresco (Fresh) series is for visitors from abroad to take home the scents emanating from Greek gardens. 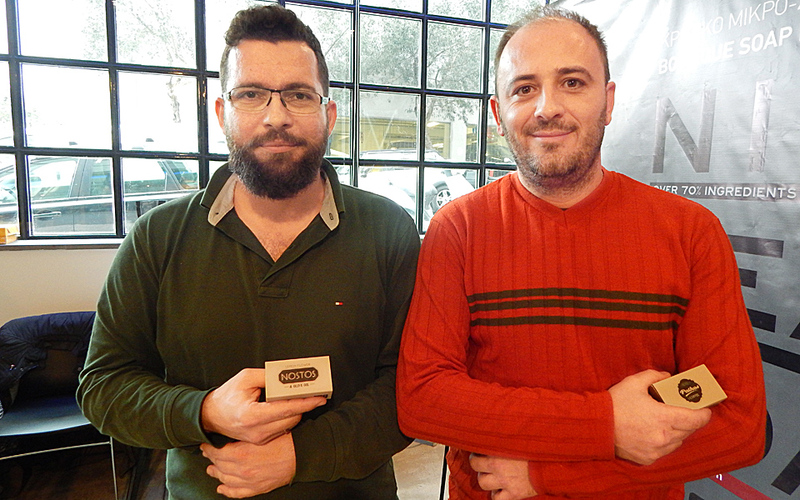 Hristos Asteriou and Stelios Hristodoulou quit their jobs to produce organic soap. The first soap product in the Fresco series includes cucumber and aloe extract. The Pathos (Passion) series contains ingredients that stimulate ‘passion,’ such as coffee, and is intended for the removal of dead skin all over the body. The Mystic series fuses exotic and Greek ingredients. The first soap product of this series combines the cleansing properties of zeolite, a mineral from the Cyclades and the multiple benefits of sandalwood oil from India. Stylishly packaged in paper wrapping, each Nivo soap product makes for a wonderful small gift to yourself. Priced at just €5 for each bar of soap, Nivo soap products may be found at numerous shops around Greece or ordered online.